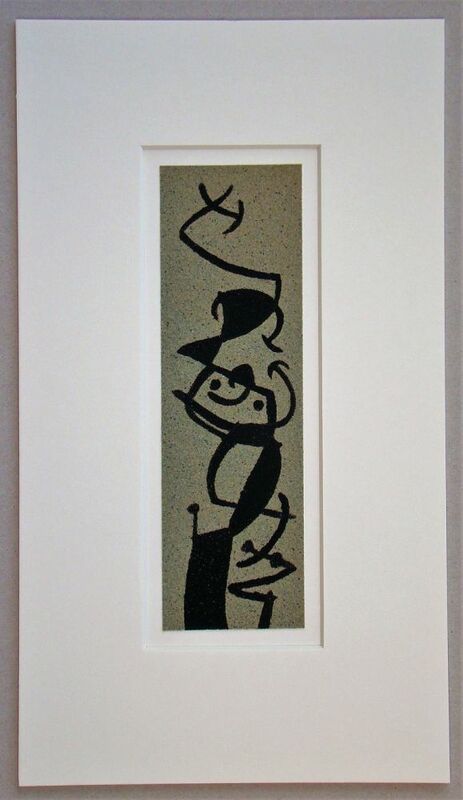 Pochoir / stencil on coloured sand paper, unsigned. Realized after the original artwork by the studios from Daniel Jacomet in Paris, France. at the Pierre Matisse Gallery in New York, USA. Already matted upon an acid free passe-partout.